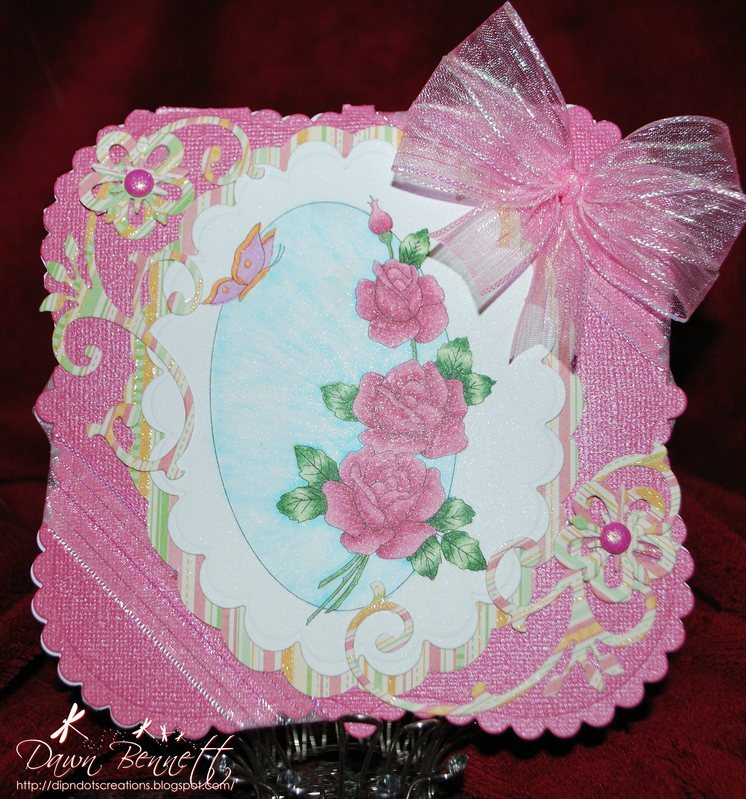 We would like for you to join us in this challenge for a chance to win a $20 Shopping Spree at Sweet Stamps. You can use any stamp for your card but if you use a Sweet Stamps image, you will get two entrees into the giveaway. To enter the challenge, please add the URL to your actual blog post or online gallery to the InLinkz you will find at the end of this post. Please do not link to your main blog; we want to be able to find your post to leave you comments. Also, please link back to our blog. The challenge rules are listed on the left sidebar. Remember, you can only enter the challenge one time, those using Sweet Stamps images will get an extra drawing in the challenge. You must link back to us in your blog post. Happy Stamping. We want to thank everyone who took part in our Wildlife stamps blog hop. We hope you had a great time and we appreciate all the lovely comments you left for us. This blog hop was great. 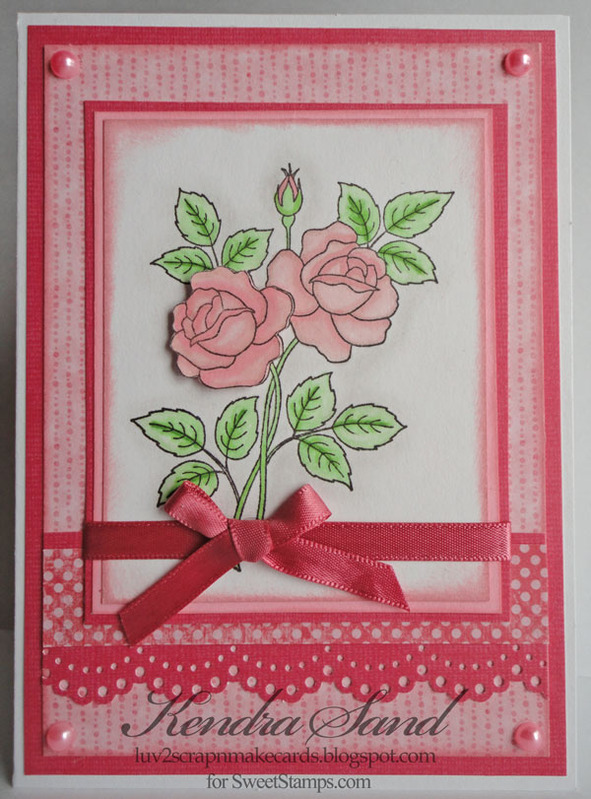 I loved seeing all the beautiful cards from your design team and am very inspired. I'm so glad I happened to find this blog and the answer to the word scramble is surely what I'd like to get my hands on...some "SWEET STAMPS". Thanks for the chance! Congratulation, ladies. Please contact me with your shipping information so we can get these stamps out to you. And won't you consider entering our Flowers challenge this week for a chance to win a $20 shopping spree? 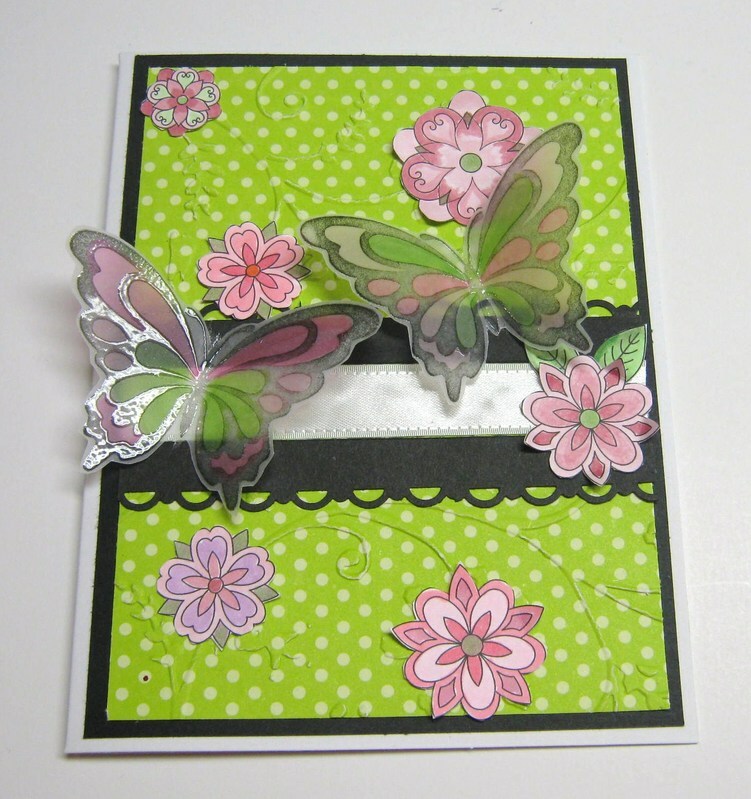 Please contact me for your winning prize of a $20 shopping spree at Sweet Stamps. And thank you to everyone who joined in on the challenge. 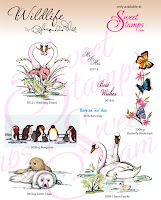 We hope you will participate in the blog hop for a chance to win all the newly released Wildlife stamps. 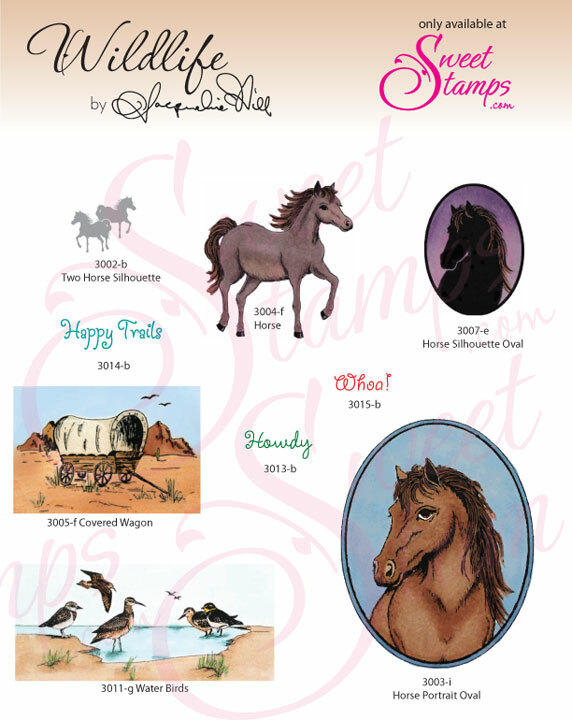 Sweet Stamps is excited to present new Wildlife rubber stamps by designer Jacqueline Hill. 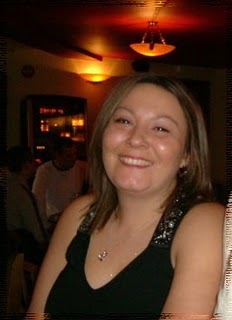 Jacqueline is joining us as a new member of our design team. Hi There! My name is Jacqueline Hill. I have been married for 22 years and have a wonderful teenage daughter. 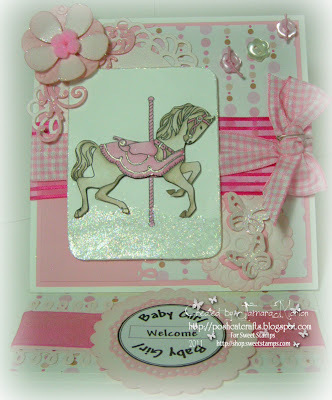 I have been a friend of Stacey, owner of Sweet Stamps since high school. 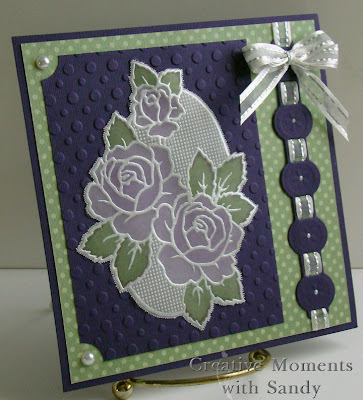 She inspired me a few years ago to “get stamping”. I really enjoy it, I’m still learning, and Stacey is an excellent teacher! I prefer to work with vellum, doing paper etching and piercing. I occasionally teach classes using this art form. I enjoy paper crafts of all sorts. My first love however is art. I have been an artist since I could hold a crayon. I also teach homeschool group art classes to 3rd-8th graders. I dabble in photography. I’m a graphic designer, currently for the Livingston Parent Journal. I also have a line of digital scrapbooking clipart dvd’s. So, in other words I enjoy doing art in many different forms. I’m very excited to have my art “out there” to share. I am looking forward to being part of a Design Team and learning some new things! 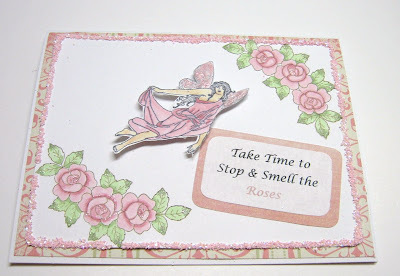 So today we are having a blog hop to showcase these wonderful new stamps. Visit each team member's blog and collect a letter. Once you get all the letters, unscramble them to reveal the 2 word phrase. Then return here to the Challenge blog and leave a comment with the answer. We will be choosing one winner to receive all of the new stamps. We will also be awarding random prizes of rubber stamps chosen from the readers who comment on each member's blog so be sure to leave some love. If you get lost along the way, you can always return here to the Challenge blog for a list of the DT members in hop order. 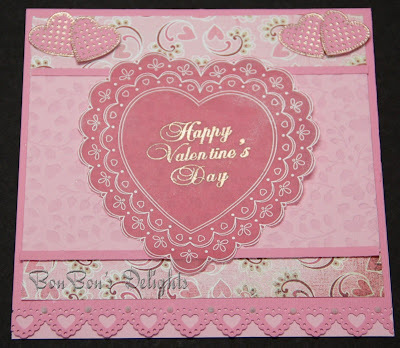 Blog Hop winners will be announced on Monday, February 21st before our next challenge. 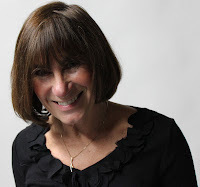 Start your hop with Jacqueline's blog and continue through the team. And don't forget to come back here and leave your answer as a comment. Good luck and happy hopping! 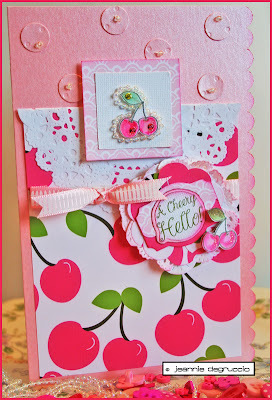 We would like for you to join us in this challenge for a chance to win a $20 Shopping Spree at Sweet Stamps. 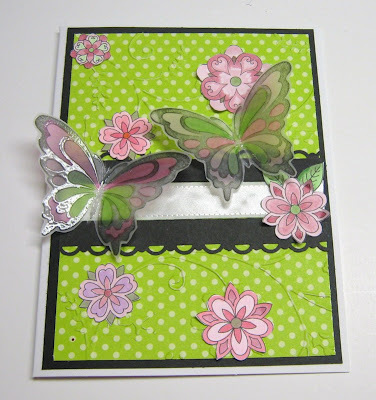 You can use any stamp for your card but if you use a Sweet Stamps image, you will get two entrees into the giveaway. To enter the challenge, please add the URL to your actual blog post or online gallery to the InLinkz you will find at the end of this post. Please do not link to your main blog; we want to be able to find your post to leave you comments. The challenge rules are listed on the left sidebar. 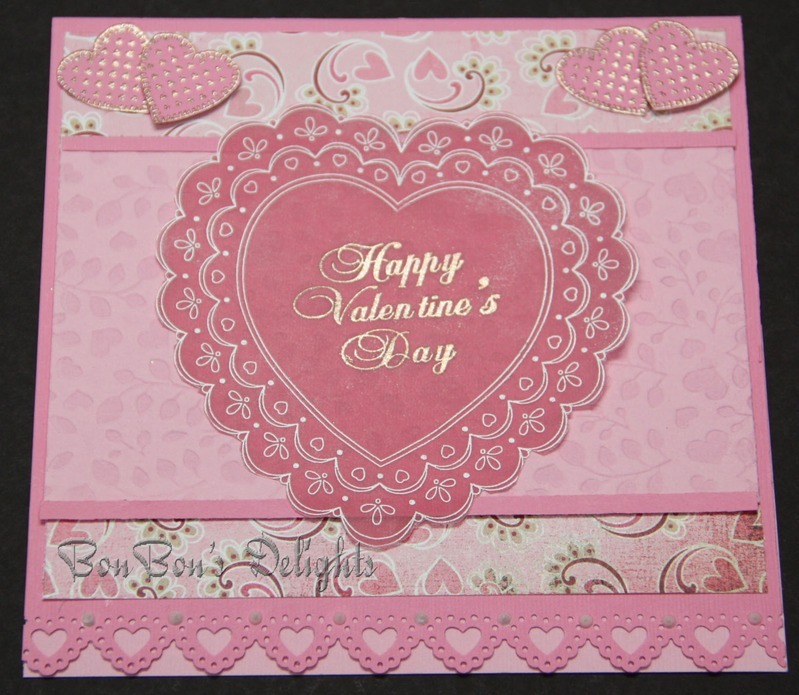 Be sure to check in tomorrow for our first challenge, you could win a shopping spree at Sweet Stamps. Now let's meet the rest of our talented team. Hi! My name is Dawn (you might recognize me as dawnll or doodle princess) and I have been an avid paper crafter for the last almost three years. I am mom to three amazing children, and have just added a daughter-in-law this past week,all of them now grown, two of them work in high risk positions. I work with crafts to help relieve the stress of knowing that and the stress of day to day life. My honey Don and I, who still consider ourselves newlyweds, have a fur baby we call Pippie. My blog is a mixture of cards, scrapbooks and fun, friendship and paper crafts, where everyone is at the same level no matter how talented or experienced. 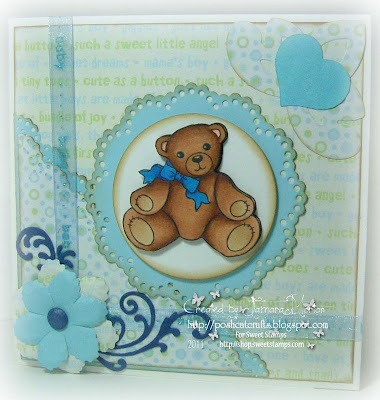 I am so thrilled to be asked to join Sweet Stamps as their first design team comes together. Thrilled to be able to work with such quality products and share them with all of you. Hey there! I'm Mary Frances. I have been living in Michigan for 12 years, before that I'm a native Pennsylvanian. I am married to the most wonderful man in the world, Ken, and have 4 incredible children and 4 amazing grandchildren. My 2 oldest (through marriage) are Angie who is married to Matt and have Andrew and Grace. James is next in line who has a son Caiden, then comes Doug who has a son Lyrik, and finally Jessica who is 16 going on 30. I am so lucky to have a man who supports me and my hobbies. I have always loved everything crafty. 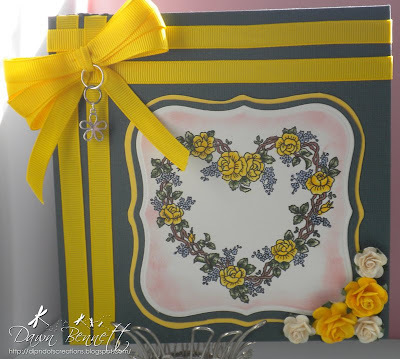 I LOVE to sew and scrapbook. 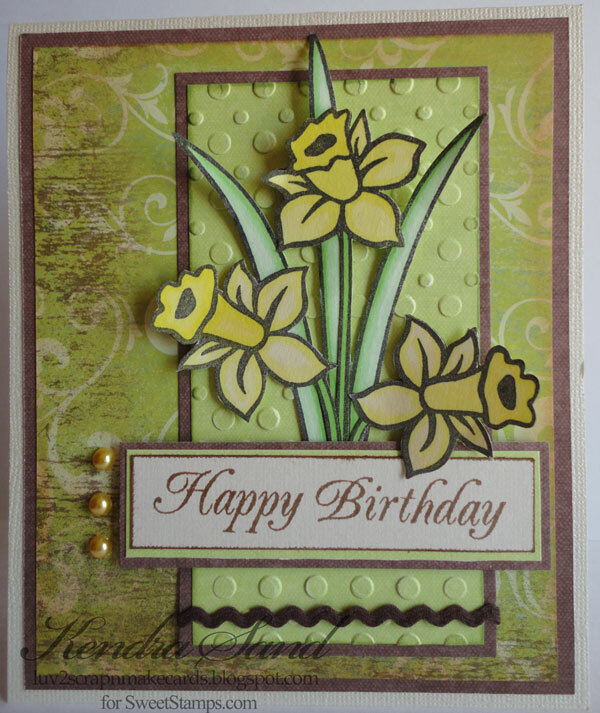 I first discovered stamping about 3 years ago. I was hooked! But switch between many crafts depending on how the mood strikes me. 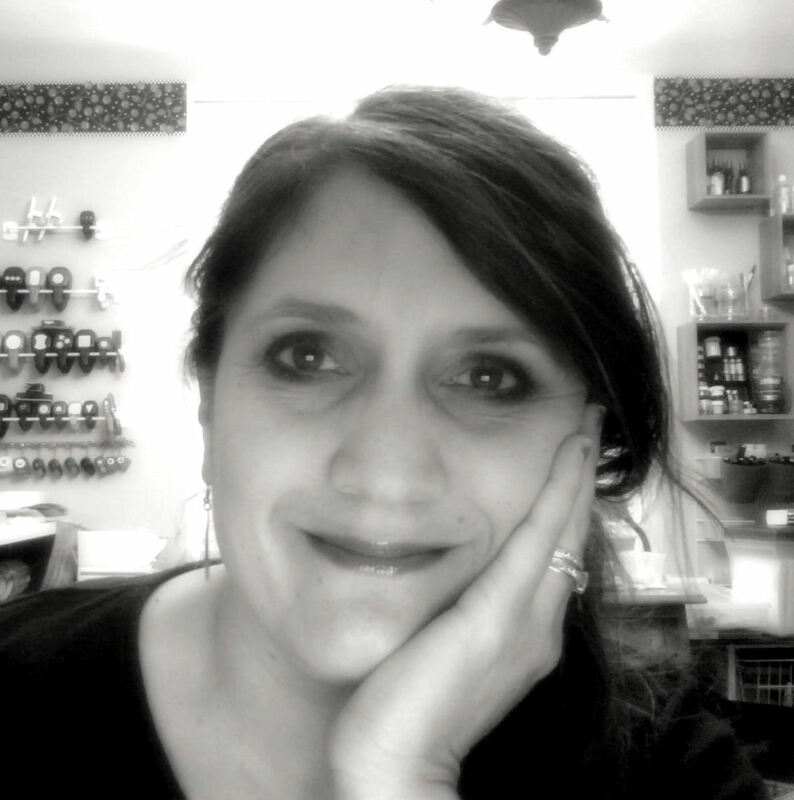 I started my blog back in April 2009, and have enjoyed connecting with stampers from all over the world. I am absolutely thrilled to have the opportunity to be a design team member for Sweet Stamps, and to be able to work with such a talented group of ladies! Hi I'm Tamara, married to a fabulous hubby that is very understanding and supports me through my crafting addiction. We have a beautiful daughter, Savannah who brings us joy and happiness each and everyday. I started paper crafting in 2005 after receiving a handmade card from my cousin it inspired me so much I thought I would give it a go, since then I've been hooked. The first major craft item I purchased was the Sizzix Big Shot which is still going strong today with my crafting space going from the dining table to a purpose built cabin at the bottom of the garden and I have to say I think I might need a bit more space. I can be found there most days with glitter, glue, sticky pads and copic's all around (a girl in heaven). 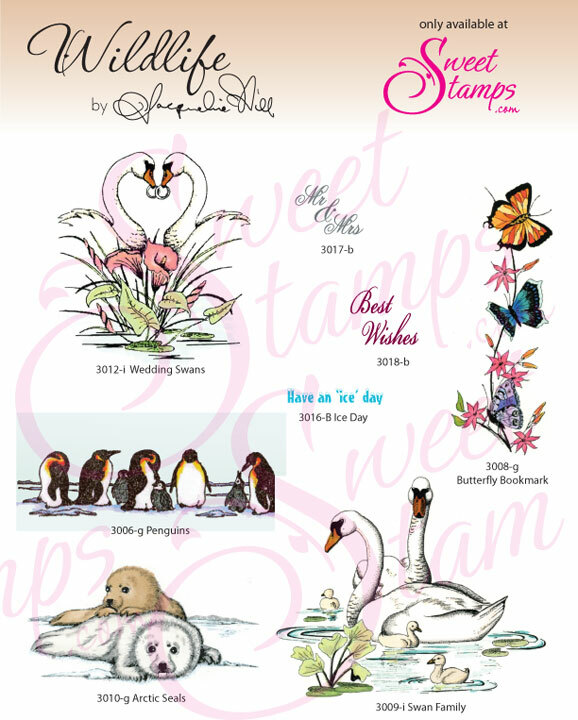 I am proud to be part of the first ever design team for Sweet Stamps and to be working with such amazing and talented ladies. 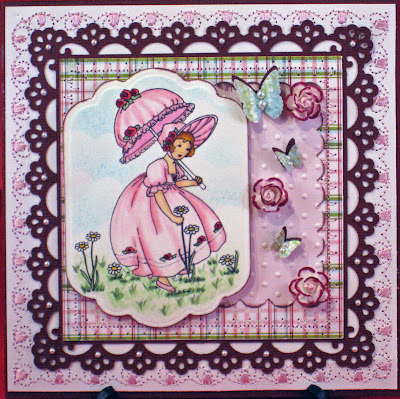 I am excited to be working with Sweet Stamps and the fabulous women of the design team. I think we will have great things in store for you. 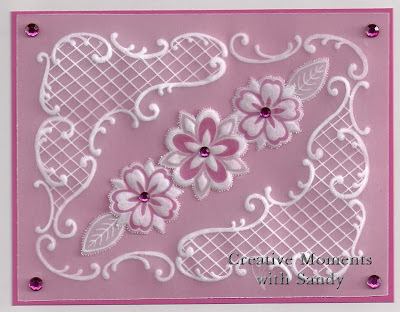 I have been a crafter of some sort all my life but did not start stamping/card making until the summer of 2005 when I met Stacey, the owner of Sweet Stamps. 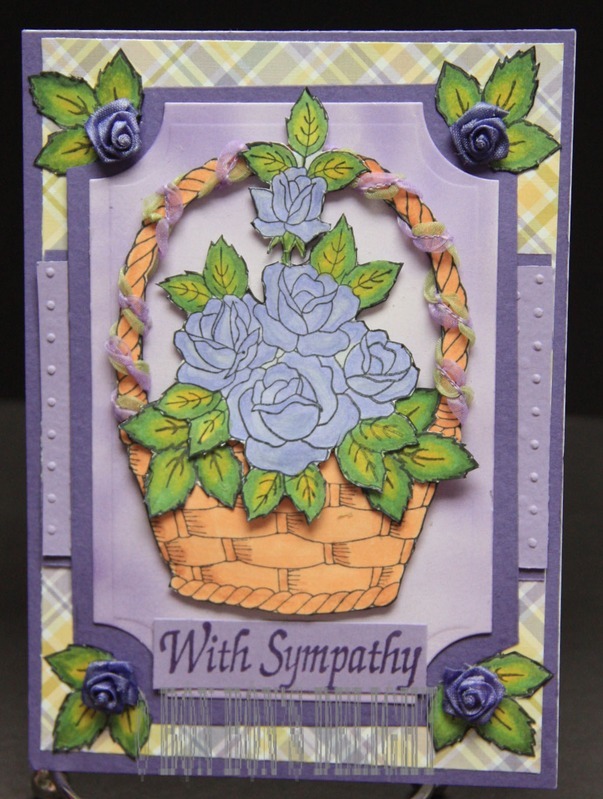 I teach scenic stamping and Copic classes in Mid-Michigan as well as online classes at My Creative Classroom. I am so excited to be part of Sweet Stamps team. I am looking forward to creating some fun things to inspire! Who am I? 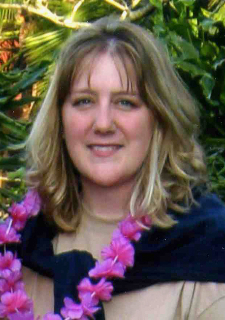 Well, I am Jeannie, I am a mom of 7 kids, ranging from 19 down to 3 years. Yes they are all mine...same mom, same dad. 22 years of marriage and we are still working together, making it up as we go along. With as many kids as I have, crafting has become a form of therapy for me. I have to say, I enjoy all crafts, but paper is my passion. Cards, scrapping, home decor? If it can be done with paper, I am up for the challenge. I love it all. 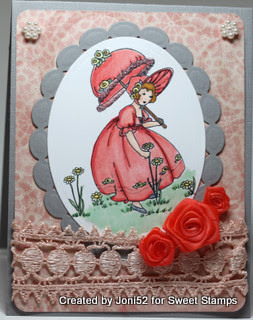 If I had to describe my style, I would say that I am a whimsical paper artist. 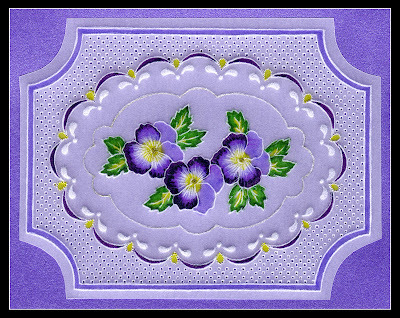 I have been a fan of Mary Engelbreit since before she was born. Well not really but, I have loved her FOREVER. My hope is to inspire people to find their own style. Everyone has one, they just have to tap into it. “I CAN’T” should never be in anyone's vocabulary when it comes to creating. I hope you enjoy the projects I will create and share. Hi I am Joni. By day I teach fifth grade and love it. On a warm sunny day you can find me walking and/or playing golf. After that you can find me in my craft room stamping and scrapping. I have been blessed with an adoring husband who pretends he has no idea how much I spend on this hobby/addiction of mine. I have two wonderful adult daughters who are now my best friends, They also come with fabulous significant others who compliment our family. I am also in love with our King Charles Cavalier Spaniel, Cooper. He is the “king!” I have saved the best for last, my 16 month old grandson, the light of our lives and cutest boy ever and boy can he dance! 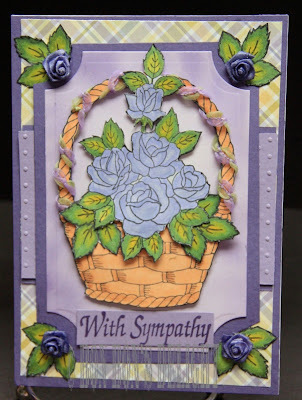 As for stamping I love coloring with copics and paper piecing. 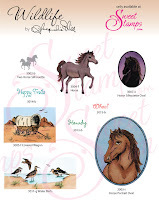 I am so excited to be on this design team and can’t wait to work with all the Sweet Stamps products. 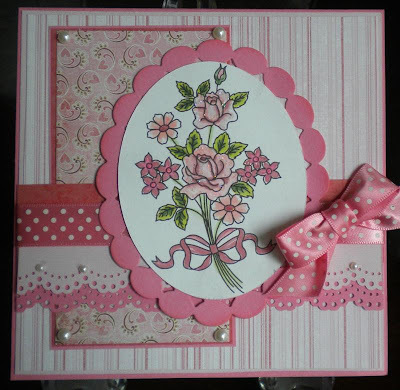 Last for today is Kendra Sand from Luv 2 Scrap n' Make Cards. 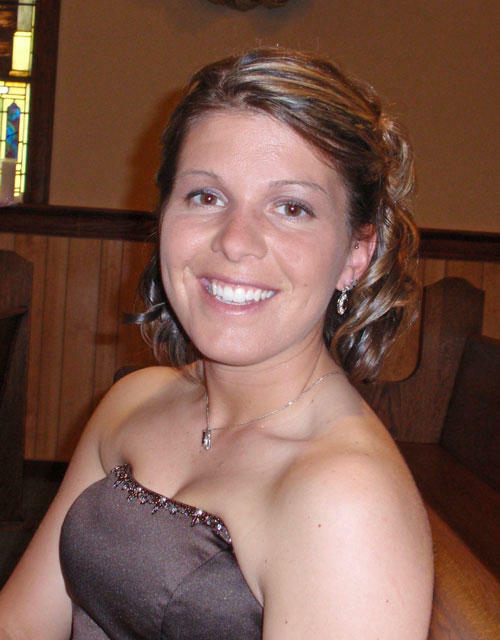 My name is, Kendra, I live in Northeast, WI with my high school sweetheart of 10years! We have two adorable little kids! (2.5yrs and 1yr) I’m a SAHM in winter and work landscaping in summer. I have a passion for flowers!! As well as crafting! I started scrapping 10 years ago as both my husband and I raced race cars at a local track and I wanted to keep track of our wins and photos. From that it grew into a HUGE obsession! I started scrapping everything and then just over a year ago got into making all my own cards! Any spare time I get I love to be in my room creating either by myself or with my little guy, who just loves to help me (not sure that I am as productive then, but it’s a lot of fun!!)! I'm so excited to be on the Sweet Stamps DT! Over the next few days, we are going to introduce our new team, then on Tuesday, Feb 8th we will have our first challenge. We hope you will all join in on the fun. My name is Bonnie Brown. I live in Howell MI. I have been married for 36 years; have 3 married sons and 12 grandchildren. I began scrapbooking in 1999. Much to my surprise I really like to scrapbook. In 2001, I ventured to the dark side and began to rubber stamp. 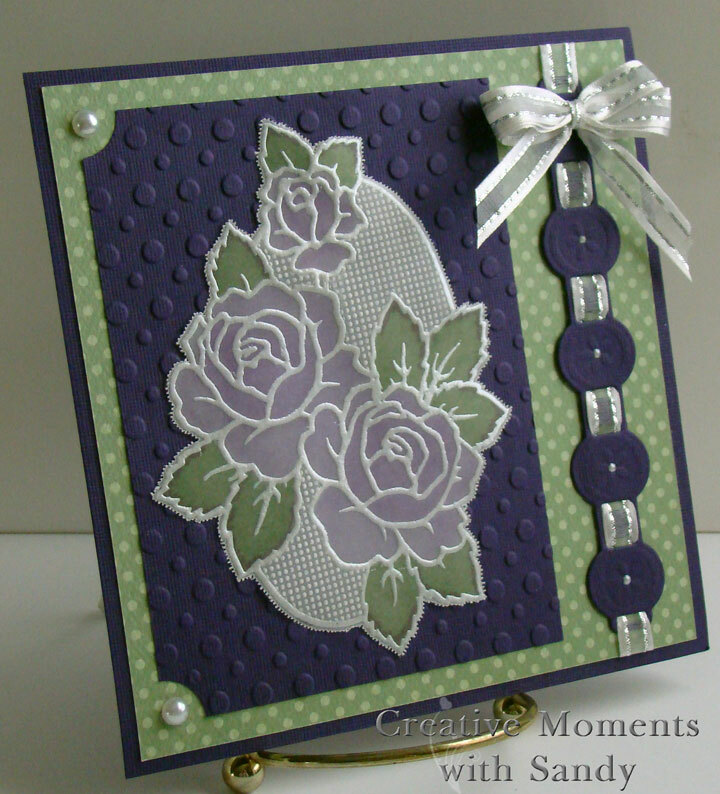 I discovered I really enjoyed stamping. 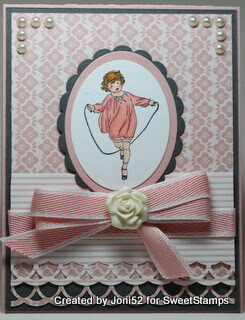 Today I spend more time designing cards than scrapbooking. Guess I found my true crafting love!! I became Copic Certified Instructor in 2008. A friend talked me into trying Copics. I have to admit that this is my absolute favorite coloring medium. In other spare time my husband and I are avid campers or RVers. We have 5th wheel that we take off as much as possible. I love the open road!! Other time is spent with my grandchildren, 8 of who live in Michigan and 4 in Montana. This is my first time being apart of a Design Team. I am looking forward to a rewarding time getting to know the Sweet Stamps Team. I have been fortunate living in MI to know Sweet Stamps. I love them and own several already. Hi ! My name is Dawn and I live in Southeastern PA. I am married to my wonderful husband Mark, who is retired from the Navy and who is very supportive of my crafting addiction. We have 3 wonderful children, ages 18, 16 and 12. 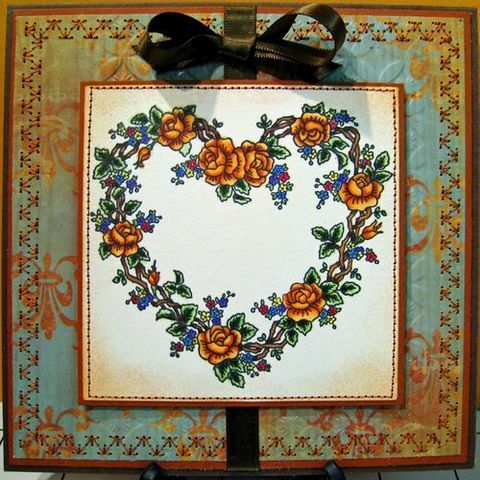 I have been crafting for about 5yrs now and really love it. I started when my neighbor took me to a scrapbooking weekend and rest is history. I tried my hand at card making when I couldn’t find a card that I wanted at the Hallmark store, and well let’s just say I’ve been hooked since. Everything that I have done/learned, I pretty much self taught myself to do. I make my images/stamps come alive with my Copic markers. My LSS saw the cards that I had made and what I have done with my Copics and asked me to teach some Copic classes, I was a bit leery at first, but I’m loving every minute of it. I have only been blogging since October and well let’s say it’s opened up a whole new world to me. I have made many friends from all over the world and I really enjoy seeing what others create as well. I also just discovered the world of “challenges”, I have to say it’s given me a bit of a nudge to see what new/different things/techniques I can come up with. I am excited to have been asked to join The Sweet Stamp’s Design Team and I’m looking forward to working with this very talented group. 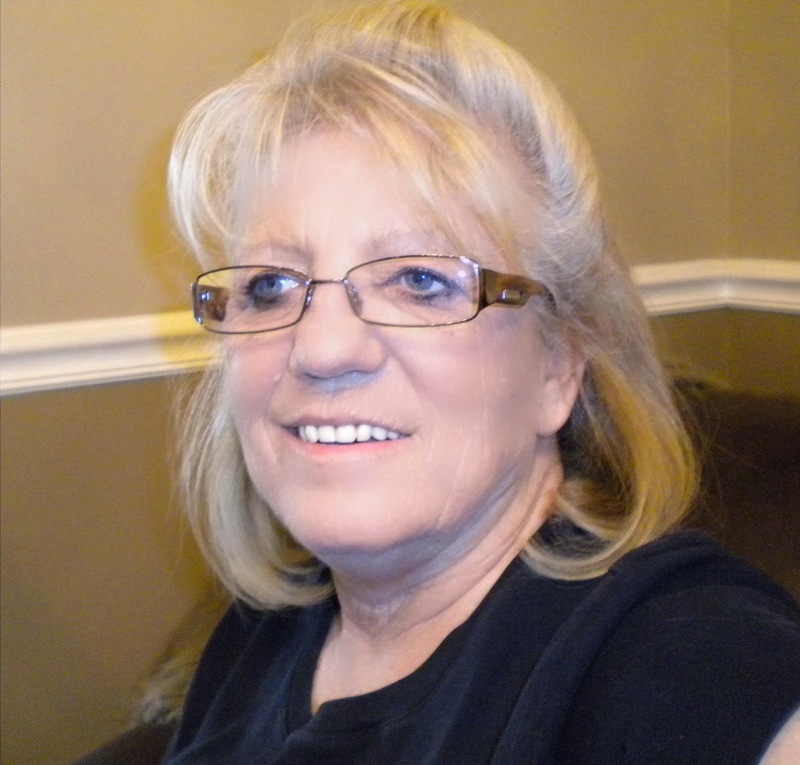 Hi, I am Jackie, I live in Northern Kentucky with my husband and a 11 year old grandson we are blessed to be raising. 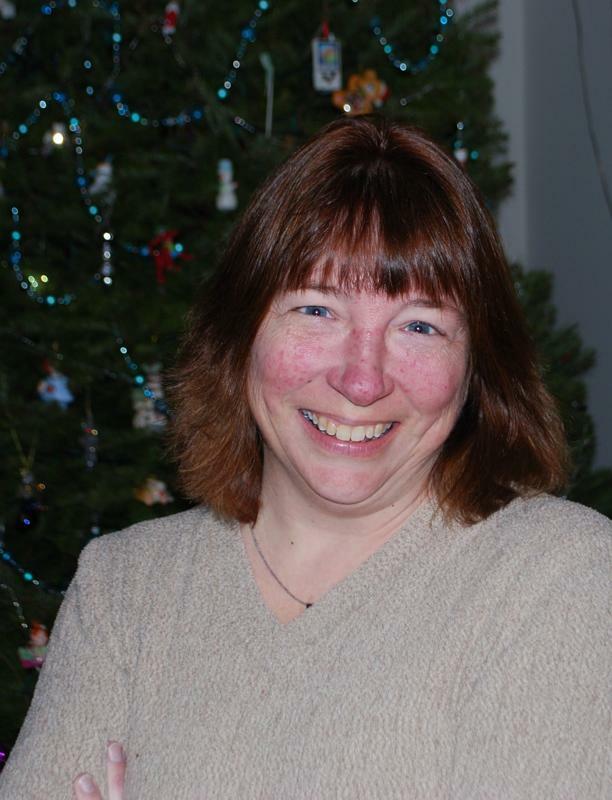 I am a mother and friend to my four grown children and a busy grandma with my six wonderful grandsons. 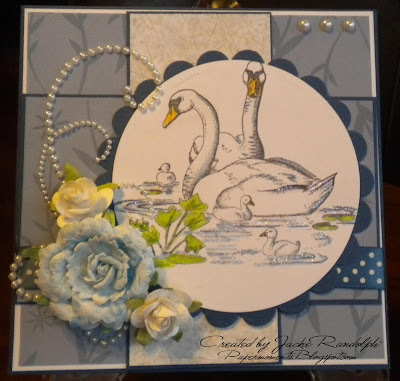 About four years ago, I put my scrap booking on the back burner and turned my focus to card making and altered crafts and have not looked back. I have always enjoyed spending time relaxing with crafting in one form or another. 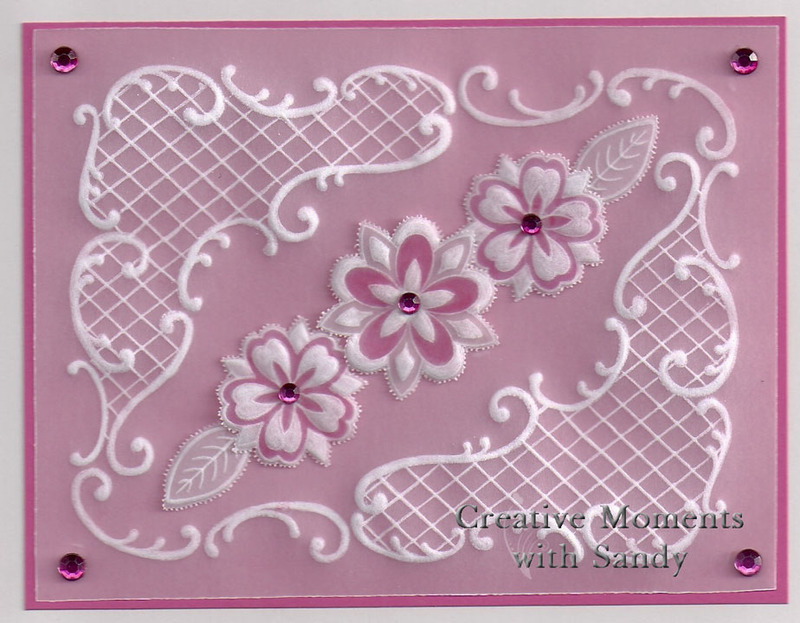 Back in my teens it all began with sewing, then moved to crocheting, jewelry making, painting and on to paper crafts. 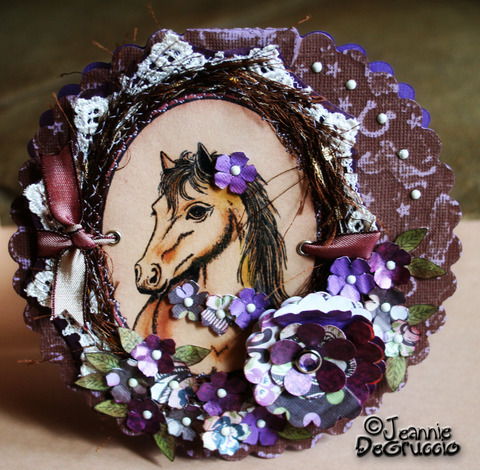 I am inspired by so many artists, and in awe of all the talent out in blog land and enjoy blog hopping learning new techniques and finding inspiration. I am excited beyond words to be joining Sweet Stamps on their first design team and look forward to creating along side my talented teamies. 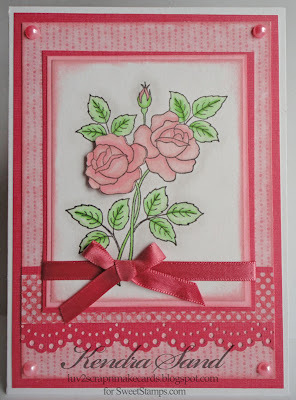 Thank you to Sweet Stamps for giving me this opportunity to create with these gorgeous stamps, and learn the art of parchment crafting. Please stop by tomorrow to meet more of the team.